High temperatures today reached 80 degrees in Alpena, and there is plenty of warmth across the Midwest. Temperatures reached 85 degrees in Chicago, 86 degrees in Minneapolis, and 91 degrees in Omaha today. Highs around 80 or in the lower 80s will continue through the weekend in our area. The Midwest radar/satellite animation is looking quiet except in North Dakota. Clouds and showers will slowly drift towards the southeast, coming into our area as a cold front on Tuesday, then colder temperatures will follow. Hurricane Florence made landfall earlier today near the North Carolina-South Carolina border. The hurricane is moving very slowly towards the west around 5 mph. 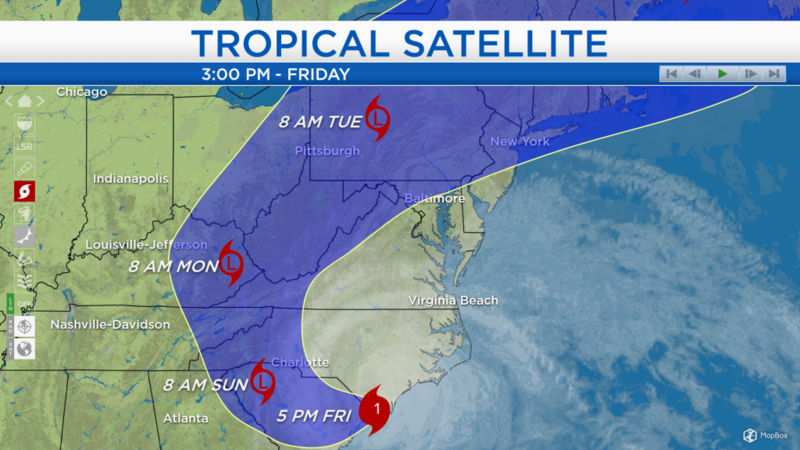 After the weekend, the path of the hurricane will curve towards the Northeast while it weakens to a tropical depression. The hurricane is still bringing widespread flooding problems to the Mid-Atlantic. Although Florence has been technically downgraded to a category 1 hurricane today, the category number is related to wind speed only. 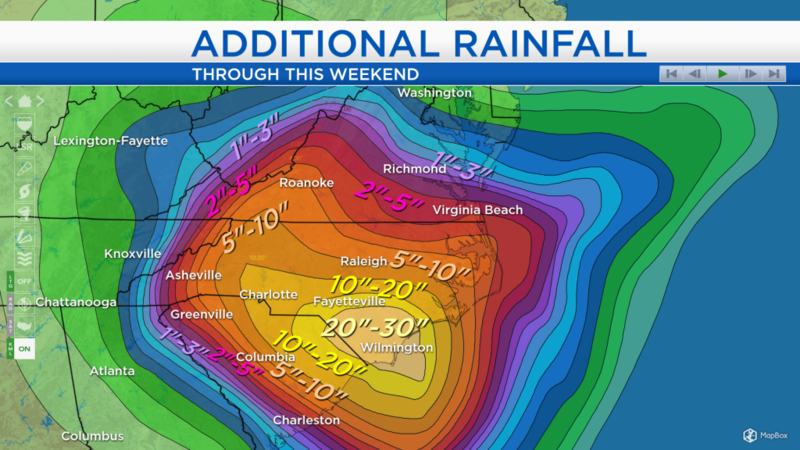 Areas near the North Carolina-South Carolina border will see more than 20 inches of rain over a two-day period. No rain is in the weather forecast for Northeast Michigan through the weekend. High temperatures will remain in the lower 80s through Monday. After that, a cold front will bring showers on Tuesday, then highs only in the 60s for the middle and end of next week. For the rest of Northeast Michigan’s weather forecast, watch the latest weather video by clicking the weather tab at the top of the page.